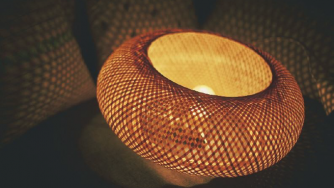 Highly skilled traditional crafts are embedded in Vietnam’s culture. A number of Vietnamese companies have dedicated themselves to promoting and preserving Vietnam’s craft. The products on display in Vietnam are extremely varied and range from wood-carving, lacquer-ware and jewelry, to textiles, basket-weaving and metal-work. Each year countless people flock to Vietnam to explore the country’s hidden culture. Vietnam today is a country alive with all manner of traditional arts and crafts, however, it has taken a long time to get back to this point. The many years of warfare that blighted Vietnam destroyed much of its artwork, as well as the skills that made it. Since peacetime, the arts have begun to flourish, and Vietnam once more considers itself a centre for beautiful craftsmanship. Craft is in fact so embedded in Vietnamese culture and history that many place names relate to the specific craft that was once, and is once again, being practiced there. The same goes for street names such as in Hanoi, where the names give an indication of the particular occupation, production process, or material that the street was initially known for, and is now being known for again. Started in 1996 by eight young Vietnamese individuals, Craft Link was set up to aid the production and sale of handicrafts as a means to generate income for poor and marginalised people within Vietnam. Although Vietnam’s economy was booming, the effects were primarily felt in urbanised areas, such as Ho Chi Minh City and Hanoi. 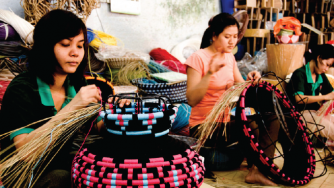 To address this problem, Craft Link sought to encourage local handicraft projects that develop new skills, create new products, and form some sort of order within a production group. 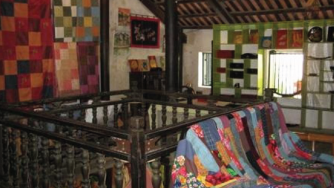 Additionally their research showed that whilst there are many existing handicraft producers in Vietnam, they often have difficulty in finding new markets in the changing economic system. In essence, Craft Link helps these people find a market for their products. Another way in which Craft Link are helping artisans in the areas of product design as well as business training. By learning about marketing, accounting, quality control and price-setting, these craftspeople are able to be more flexible to market changes, adapt their designs accordingly and know how best to go about producing them. Starting off as a design and product development project based in Vietnam, UMA’s main focus initially was to blend Vietnamese craft productions, with Scandinavian design to create clean, modern products. In 2011, UMA supported the Swedish design duo, Mattias Rask and Tor Palm of Glimpt, in a project that utilised Vietnamese craft. Observing a particular technique in which small bowls are created by fixing paper thread around rolls of seagrass, the designers scaled-up the technique to create furniture pieces. Working with weavers in Ho Chi Minh City, they produced a series of stools called Superheroes. Wrapping the rolls of dried seagrass around an internal metal frame creates the structural form of the stools. The project adhered to UMA’s aim to combine Vietnamese craftsmanship with Scandinavian design. A fair trade organisation, Au Lac Designs helps traditional craft producers in Vietnam develop their small businesses, as well as encourages sustainable development for the rural poor within the country. By ensuring that business training and fair trade principles are at the core of their teaching, they have helped build experience in exporting to international markets, as well as increasing the artisans’ understanding of the demand for design, quality control and production management. This ensures that small businesses can produce high quality products and display the best that Vietnam has to offer in terms of hand crafted items. Au Lac Designs works with a large number of handicraft villages, of which there is a high density in an area about 15 kilometres from Hanoi. These villages produce a wide array of products including textiles, wood-carving, furniture, ceramics, lacquer-ware, and so on. Situated in the centre of a small, cultural town called Hoi An (a UNESCO World Heritage Site since the 1990s), Reaching Out is a social business that was established in 2000. 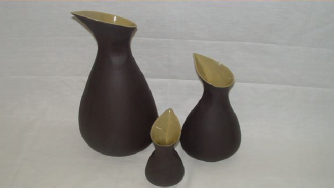 A fair trade company, Reaching Out showcases beautiful craftwork that is made in their onsite workshop behind the store. Reaching Out fills a much-needed gap, providing meaningful employment to skilled artisans in a country where government funding is insufficient and inefficient. Through Reaching Out, the employees are trained in a number of skilled crafts and, more importantly, receive a fair wage and additional support. The organisation also use a percentage of the profit to assist in the funding of other community programmes for differently-abled Vietnamese people. In early 2013, Reaching Out opened a Silent Tea room, located in the old city centre of Hoi and decorated in the traditional Vietnamese style. The staff are all hearing impaired; the Tea Room is thus a place of silent tranquillity. All the serving tray, crockery and cutlery are also produced by their workshop. Established in March 1993, Duc Phong began life as the Enterprise of Producing and Trading of Exporting Bamboo Products, only changing its name in 2001. 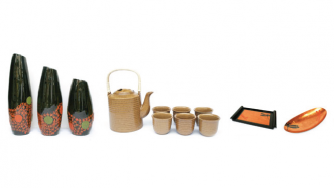 As a business, its main areas of expertise are concerned with producing and processing bamboo products, as well as the vocational training of employees to create bamboo products for export. The collapse of the Eastern European Market from 1989 -1992 affected the original traditions of bamboo craftsmanship; many of those who were artisans decided to leave this profession in favour of others. The dwindling numbers of craftsmen working with bamboo is what led Duc Phong to initially set up their company. As a result of their hard work, the company now exports its products to 34 countries worldwide, and their reputation for fine craftsmanship grows steadily. They provide hundreds of training courses for their thousands of employees and there are now 31 craft villages dedicated to working with bamboo in the province. The company’s long term goal is to become Vietnam’s biggest bamboo handicraft company that produces ethically made products, contributing to the livelihood and stability of those from the ethnic communities in the mountainous areas in Nghe An Province.